Peter Flack is an experienced African hunter and writer whose travels on the Dark Continent set him far above the pack. 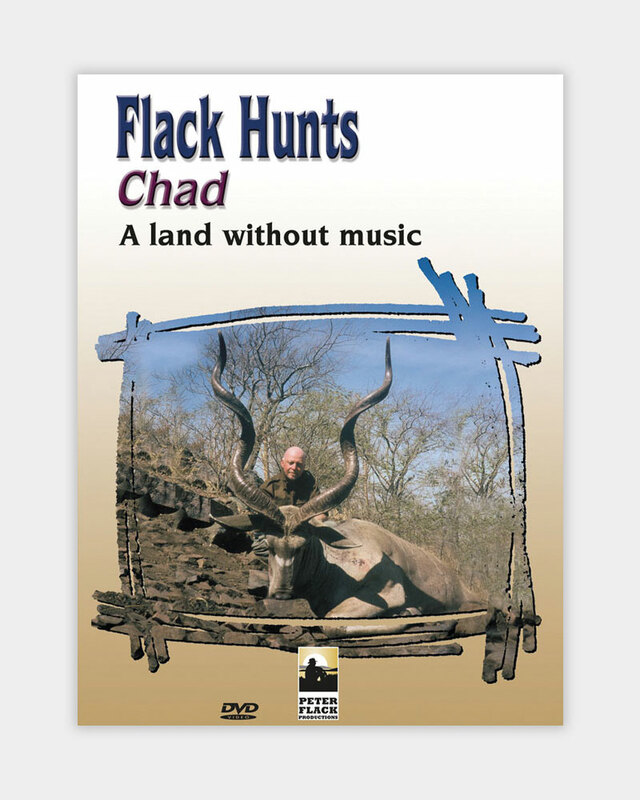 This DVD takes the viewer to the Ennedi Mountains and the Sahara Desert for Barbary sheep and dorcas gazelle, the Sahelian region around Gos-Beida, for western kudu and red-fronted gazelle; and then to the Aouk River, for western roan, korringum and Nigerian bohor reedbuck. Peter Flack is an experienced African hunter and writer whose travels on the Dark Continent set him far above the pack. This DVD takes the viewer to the Ennedi Mountains and the Sahara Desert for Barbary sheep and dorcas gazelle, the Sahelian region around Gos-Beida, for western kudu and red-fronted gazelle; and then to the Aouk River, for western roan, korringum and Nigerian bohor reedbuck. Please note that this DVD is only 25 minutes long and was produced using the technology available at the time. Since then significant improvements have been made.